A major upgrade to modernize the current ground control system of the US Air Force’s Global Positioning System (GPS) satellite constellation has just been completed by Lockheed Martin (NYSE: LMT). The Commercial Off-the-Shelf (COTS) Upgrade #2 (CUP2) project is the latest step in the Air Force’s multi-year plan to refresh technology and transform the legacy Operational Control Segment—known as the Architecture Evolution Plan (AEP)—into a modern, high-performance command and control system. On October 15, CUP2 became fully operational and began managing the 31 GPS IIR, IIR-M and IIF satellites that make up today’s GPS constellation. The Air Force awarded Lockheed Martin the CUP2 project in November 2013 under its GPS Control Segment (GCS) contract and the system is now fully deployed into the AEP’s GPS Master Control Station and the Alternate Master Control Station. This is the third major technology refresh of the GPS command and control system since the GCS contract began in January 2013. This upgrade by Lockheed Martin to the existing ground control system provides the Air Force with flexibility. In May, as part of Contingency Operations (COps) under the GPS III contract, Lockheed Martin demonstrated a preliminary design to build off CUP2 and further upgrade the AEP to support next generation GPS III satellites as they perform their positioning, navigation and timing mission. COps is a temporary gap filler prior to the entire GPS constellation’s transition onto the next-generation Operational Control System (OCX) Block 1, which is currently in development. 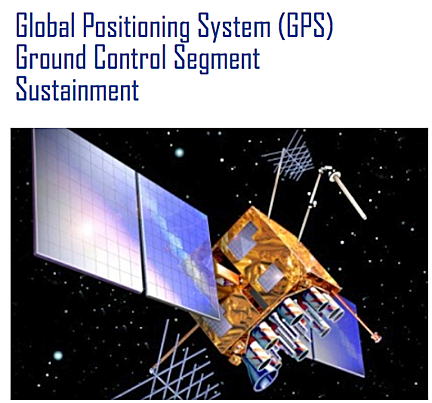 The Global Positioning Systems Directorate at the U.S. Air Force Space and Missile Systems Center contracted the CUP2 upgrade. Air Force Space Command’s 2nd Space Operations Squadron (2SOPS), based at Schriever Air Force Base, Colorado, manages and operates the GPS constellation for both civil and military users.